Will there be a Shanghai surprise? We've had two races on two very different circuits in Formula One 2011, but so far only one winner. Sebastian Vettel leads the championship by 24 points (one point short of a race win) and has barely broken sweat during the races, even in the heat of Malaysia. The good news for neutrals is that, thanks to the new regulations and Pirelli tyres, plenty of wheel-to-wheel action has ensured Sunday afternoons remain unmissable. But it's also true that 2010 was one of the best seasons in recent years because of a five-way competition for the top spot in the championship, and if we are to see a repeat this season, McLaren, Ferrari and Mark Webber need a return to the top step of the podium sooner rather than later. 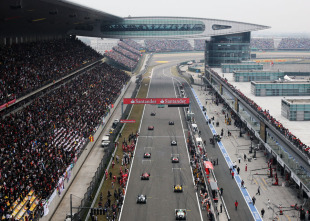 Will China, where no driver has ever won twice and racing is often unpredictable, deliver the first twist in the 2011 championship tale? Such is Sebastian Vettel's dominant form at the moment that Mark Webber, widely regarded as a one-lap specialist, has yet to qualify within 0.3 seconds of him in the same car. Last year Vettel struggled with bad luck in the opening rounds but this season everything has fallen into place. It's not as if the Red Bull has been completely problem-free, as KERS continues to work intermittently at best, but when he needed it at the start of the Malaysian Grand Prix it was there and he made the most of it. If he won the championship in 2010 with a large dollop of bad luck, it could become a little one sided if everything goes his way. Ever since the final day of pre-season testing at a rain-drenched Circuit de Catalunya, Ferrari appears to have lost ground. Fernando Alonso says there was never any reason to believe the media hype that the car was a close match for Red Bull, but team boss Stefano Domenicali and technical director Aldo Costa view things slightly differently. Over the winter Ferrari upgraded its wind tunnel but it seems as though the figures it is pumping out do not match the reality on the track. That has led Ferrari to question every part that has been put on the car since testing as well as the new parts coming to the track. The car's problems appear to be magnified over one lap, which makes the situation look worse than it is, but while Maranello searches for a solution its rivals are pushing ahead. 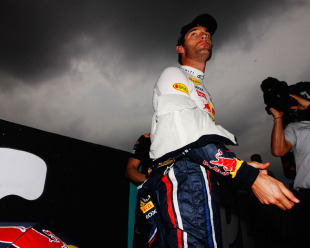 In the past Mark Webber has been regarded as one of the unluckiest drivers on the grid. He shed that tag to a degree over the last two years as Red Bull has hit its stride, but it looks as though it has come back to haunt him in 2011. But luck, by its very nature, works both ways and there is every reason to believe that Webber, with KERS working and his car treating its tyres with a little more respect, could return to the form that saw him lead the championship on several occasions last year. The Drag Reduction System - For years F1 observers have complained that there is not enough overtaking in the sport. But now that a system has boosted the chances of wheel-to-wheel racing it is labelled as fake, with critics saying that the FIA dictates where the drivers overtake. Although true, it can be argued that it only enhances the existing overtaking areas and one place dictated by the FIA is better than nothing at all. Perhaps the biggest concern should be the complexity of the system (it can only be used when a driver is within a second of the car in front at a certain point on the track, but not in the first two laps after the start or a safety car … and not at all in the wet). For the casual viewer it makes an already complex sport even harder to understand. Red Bull KERS - It didn't work in Australia; it only worked on one car in Malaysia; the big question now is will it work in China? 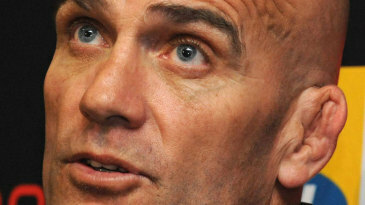 It's clearly the RB7's Achilles heel and Adrian Newey has admitted the team is learning as it goes along. Red Bull has tinkered with the basic Magnetti Mareli unit supplied by Renault in order to get it to sit snugly in the tight RB7 chassis, but in true Newey style the boundaries are being pushed to breaking point and beyond. It's most crucial function is at the start - as Mark Webber will testify after struggling without it in Malaysia - so it will be Red Bull's aim to get it working on both cars for at least the opening lap in China. Marbles - Pirelli has succeeded in creating tyres that degrade quickly in order to make racing more exciting - as was their FIA remit - but in doing so has created tyres that litter the circuit with chunks of rubber known as marbles. Marbles are not new to F1, but due to the high degradation of the Pirellis they are more prevalent than in recent years. Vitaly Petrov claimed that his race-ending accident at Sepang was a result of understeering wide on the marbles and a number of drivers have reported being sprayed by the used rubber while behind another car. Sebastian Vettel joked: "Imagine Singapore or Monaco, where a fan could suddenly find a piece of tyre in his tea." Pirelli is going to look into the issue but will not make a knee-jerk reaction and, thankfully, is keeping exciting races at the top of its priorities. The rise of the Tilkedromes - Hermann Tilke has taken some flak in recent years for producing a series of new circuits with about as much character as Heathrow's Terminal 4. But in Malaysia, one of his better creations, we saw the best dry race in Formula One in recent years. With the combination of Pirelli's tyres, the DRS and the ban on double diffusers, cars were able to overtake when they came up behind a slower car, which hasn't always been the case in recent years. Central to the excitement was the layout of the Sepang circuit and more wheel-to-wheel action can be expected at the next two rounds, which are both on Tilke tracks. The Shanghai International Circuit is another new-generation F1 track designed by the ubiquitous Hermann Tilke. Unlike some of his other creations, the track does have some in-built character, such as team offices built on stilts over water and the impressive bridges over the pit straight - all built at a cost of US$459 million. On track there is a mix of high speed corners, long straights and big stops, requiring medium to high downforce levels. Overtaking is possible and the most likely location is at turn 13 where the cars brake from 200mph to 45mph after a 0.7 mile straight. Another notable feature on the track includes the 270 degree turn one that requires the cars to hit two apices before being spat out in the opposite direction in turn two. FIA driver steward: Emanuele Pirro stays on as the driver steward after the Malaysian Grand Prix. It will be the five-time Le Mans winner's third appearance on the panel. Rain is always a possibility at this time of year in Shanghai and it produced one of the best races of the season last year. 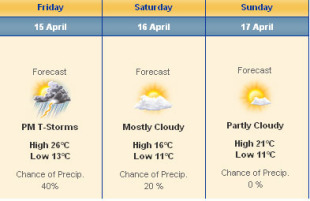 However, the wet-weather excitement looks as though it will be restricted to Friday afternoon this year with smog-filtered sunshine more likely on race day. Temperatures are unlikely to top 25C, meaning the tyres will have an easier time and most drivers will attempt a two- or three-stop strategy. No prizes for guessing who the bookies' favourite is at Shanghai, and it'll also be a pretty small reward for anyone who backs Sebastian Vettel at odds of 1/1. Those willing to take a punt can put their money on Lewis Hamilton bouncing back with a win at 4/1 or everything coming together for Mark Webber at 5/1. Fernando Alonso and Jenson Button could also be worth a look at 15/2. There is no doubt that Sebastian Vettel is the man to beat at the moment, the only question is who is in the best shape to do it? To keep things interesting, ESPNF1 is backing Lewis Hamilton to overcome his Sepang tyre problems in the cooler climes of Shanghai and show the true potential of the McLaren for the first time this season.